Bay Area favorite, P-Lo, began his Prime Tour at UC San Diego, where he delivered a middle-of-the-road performance for loyal fans. I went into this concert with rather high expectations due to the love for P-Lo I have routinely seen throughout campus. The concert sold out months prior, so I anticipated the crowd to be charged and ready for the performance. A significant portion of UCSD’s population consists of students from the Bay, and the mutual love between P-Lo and Bay Area natives is prevalent. As the venue opened at about 8:20 p.m. and the crowds began to pour in, the energy was high as individuals mingled in the venue, not hesitant to be heard. For the next hour between the opening of the doors and the first performance, the crowd’s energy remained relatively upbeat. Fans waited in a quickly building line for a photo opportunity with a P-Lo tour poster until the first opener hit the stage. The night began with the first opener, DJ “All Black” who made sure to play recognizable radio hits. From Sheck Wes’ “Mo Bamba” to Travis Scott’s “Sicko Mode,” the crowd didn’t seem to mind the Billboard Top 50 songs being played yet another time. Overall, the DJ set was not unique or very impressive, but the task of pumping up the crowd seemed to be accomplished. All Black hit the stage and gave a subpar performance that was saved by his charisma and crowd interactions. He called several individuals to the stage and even inserted himself into the crowd. These actions created a sense of unity that made the crowd feel more attached to the artist despite most individuals displaying a clear lack of knowledge about his music. Fans looked left and right with faces suggesting a sudden feeling of confusion, but his performance did a commendable job of working through this. Finally, at around 10 p.m., the headliner hit the stage, and the crowd gave him an adoring welcome. It didn’t take too long for the Bay Area to be recognized. P-Lo quickly prompted the crowd, “Who here is from the Bay?” to which the crowd — nearly filled to capacity — responded with overwhelming cheers. 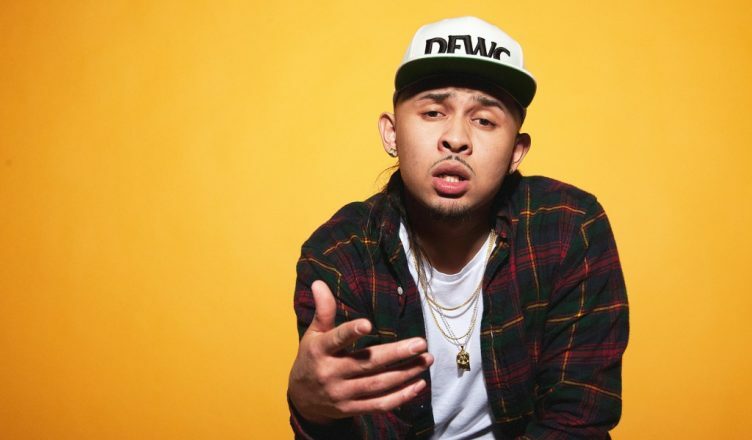 P-Lo’s on-stage presence was impressive, and it made the overall experience enjoyable. His small dance spurts, accompanied by chants of “Go P-Lo,” made it feel as if it was a friend on stage rather than a recording artist. This sense of community generated from the crowd and the artist himself was admirable. With the introduction of each song, it seemed as if the crowd had been anxious to hear it their whole lives. As the beat hit for crowd favorite “Put Me on Somethin’,” I had never seen so many faces light up. This was notably a peak of the concert, as the whole crowd was engaged and moving with the beats. P-Lo was also quick to recognize those who seemed to be enjoying his performance, calling to the stage two die-hard fans. Once again, this shattered the barrier that sometimes makes an artist seem unreal. The two audience members danced on stage to the enjoyment of the crowd, which made it feel like P-Lo had a connection with each audience member. This moment made for a wholesome environment where fans could see their favorite artist going out of his way for them. Despite the positive energy generated in the venue, the show could have been better in several aspects. I was disappointed in the stage design that P-Lo brought with him to La Jolla, which only featured a neon sign that read “P-Lo.” I expected an artist of his caliber to travel with a bit more, but granted, the venue could have played a role in that decision. Also, P-Lo’s vocal performance on his more melody-based songs was a bit disappointing. It seemed as if he struggled to keep up with the audio track running in the background from time to time; however, this is a prevalent issue for many rap artists during their live performances. In its entirety, the show felt extremely wholesome and the sense of community was strong. I commend P-Lo for channeling so much positive energy and being able to unite the crowd by making himself so personable. An artist being in touch with his fanbase is always good to see, and it definitely shows with the support he receives. With a few minor improvements, this concert could have been a standout. Although, with this being the first stop on his tour, I am sure it will continue to improve with each night.